I'm sure you've heard the term Search Engine Optimization. Which is the process of getting your site ranked on search engines. A website is not just the face of your business, it's a way to get new customers to your business. But before you can get any new customers through your website, your company (website) will need to rank on search engines. Ultimately your goal should be to get on the first page of Google. Ranking on the first page of Google is easier said than done but to do it, you can deploy two SEO methodologies. Off-Page SEO Can be described as marketing techniques that happen outside of your website (i.e. off-page) that have the potential to impact search engine rankings. This includes things like link-building, social media, forum participation and reputation management. Though the activity is not taking place on your main website it still matters to Google what others think about your site. What helps with Off-page SEO? 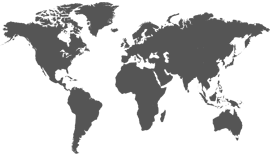 Actively participating or contributing to discussions on forums and blogs. Reputation management and reputation marketing. Providing genuine comments on a blog (relevant to the post). On-Page SEO is the optimization of pages, posts and images within your site in order to rank higher in search engines. On-page SEO refers to both content and code within the site that can be optimized. 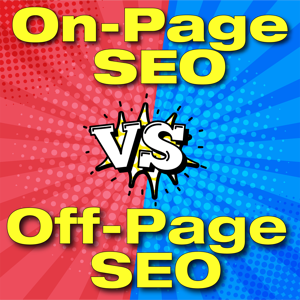 On-page vs off-page SEO, which is better? Both are important and you if you do one, you should do the other. Doing SEO and ranking your site organically is not an overnight process, nor a one-time and done process. Both processes should be deployed however if you want to rank on search engines. SEO is time intensive and complicated. If you don’t know what you’re doing when it comes to SEO then you should leave it to a professional. Doing SEO by yourself, without knowing what you’re doing, will be detrimental to your online results. In other words, if you you're just guessing at what to do when it comes to SEO, you're going to do more damage than good. With constantly changing algorithms and updates, what you knew about Google yesterday will be outdated by tomorrow. Whether your doing on-page SEO for manufacturing companies or off-page SEO for tree services companies (or vice-versa) the methods deployed should be inline with current practices tolerated by Google. With the combination off-page and on-page activities, you'll be on your way to getting your online rankings improved, which will do wonders for your business.